National Chip and Dip Day?!?! WHAT COULD BE MORE EXCITING? 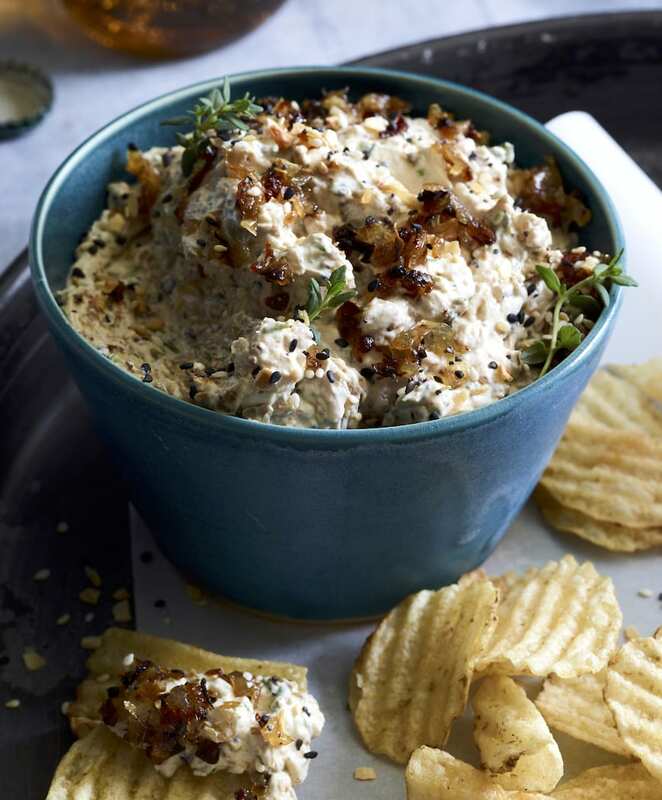 I’m celebrating with this insanely delish Roasted Onion Dip and ALL THE CHIPS! Here we go team. 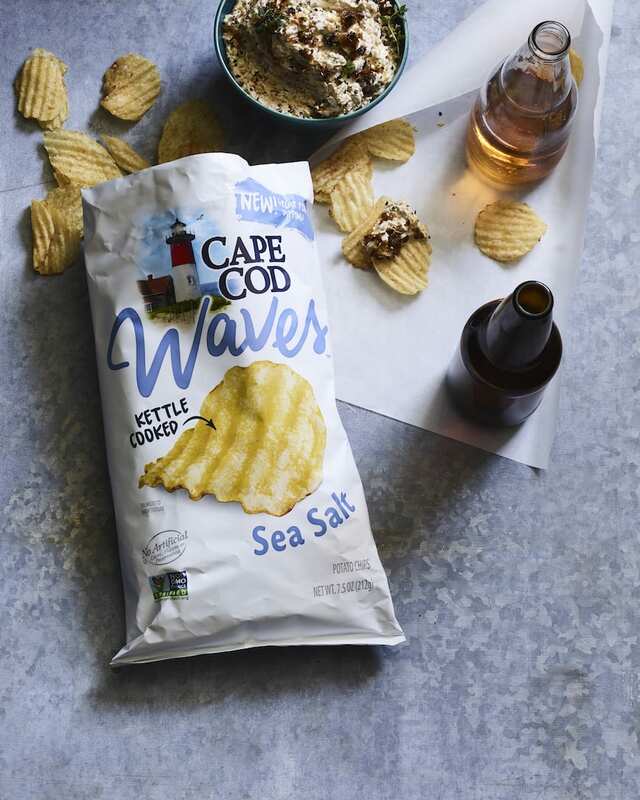 Meet your new favorite dip – Roasted Onion Dip and your new favorite chips – Cape Cod Waves™ Potato Chips. 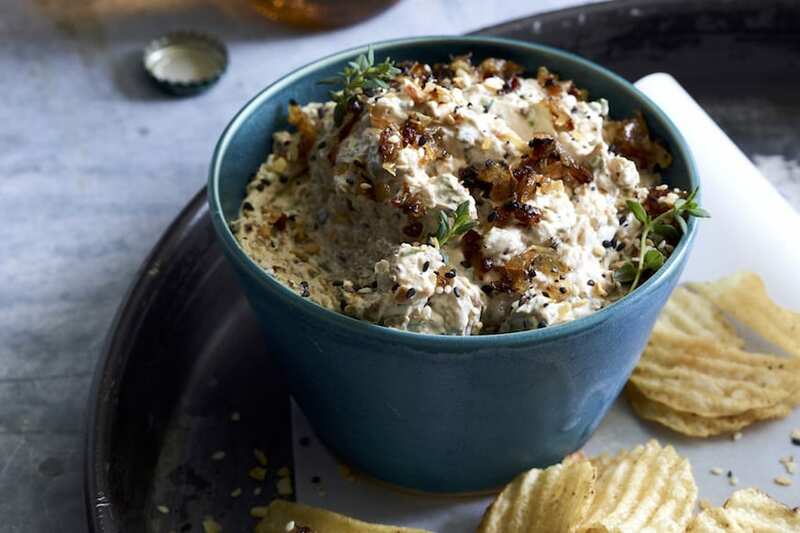 First let’s talk dip…loaded with caramelized onions and shallots and herbs, plus sour cream and Greek yogurt, fresh chives and some of my favorite seasoning on earth. In one word… it’s perfect. And quite easy to whip up. And the onion / shallot mixture that is the base of this recipe is beyond. 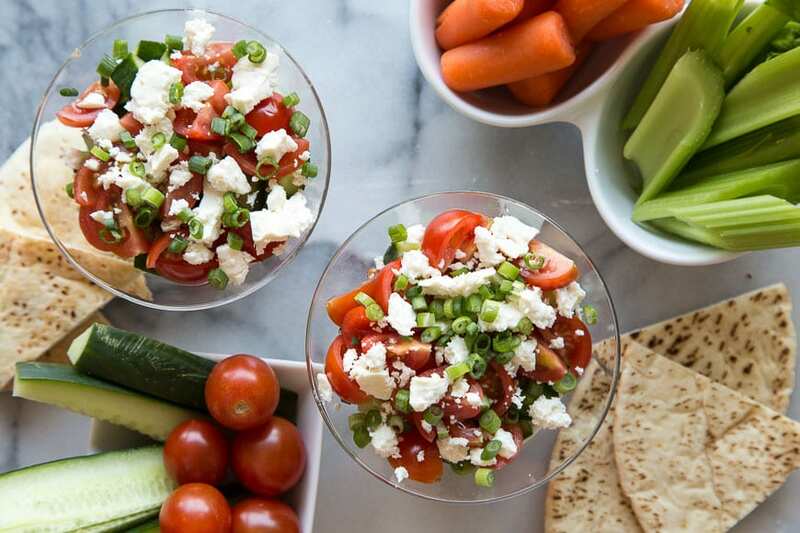 So much so that it might be a good idea to make a double batch because I found myself eating it by the spoonful before I could even get the ingredients together to make the dip. 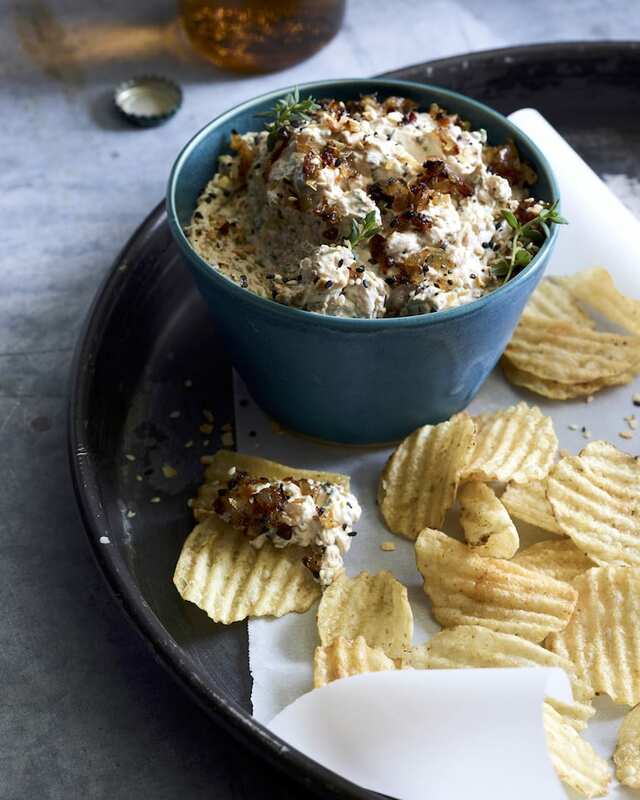 I’m serving it up with the latest and greatest from Cape Cod® Potato Chips, their newest line, Cape Cod Waves™ Potato Chips,thick-sliced and wavy-cut potato chips that are PERFECT for scooping up a heaping helping of this Roasted Onion Dip. I mean, come on… does it get better than this? Doubtful. Now all that’s left to do is hop on an actual flight to Cape Cod and make this exact recipe in some epic beachfront kitchen, serve it with these chips, maybe throw a lobster roll on the side and kick back and get ready to welcome summer. Sounds good?? How do we make this a reality? Preheat oven to 425°. 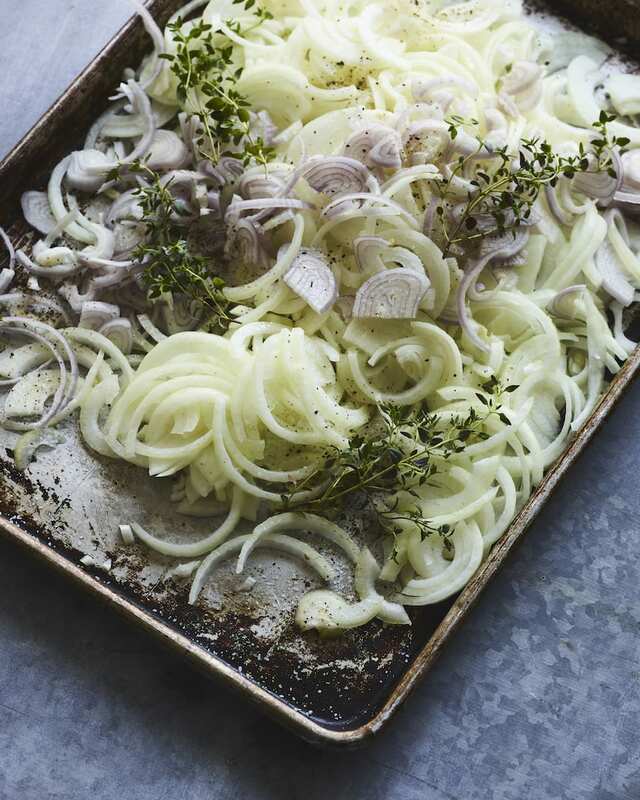 Mix onions, shallots, thyme sprigs, and oil in a large roasting pan. Season with salt and pepper. Roast onion mixture, stirring and scraping down sides of pan every 10 minutes, until mixture starts to break down and turn golden brown, 45–55 minutes. Discard thyme sprigs. Add wine and vinegar; stir to scrape up any browned bits from bottom of pan. Return onion mixture to oven. Continue roasting, stirring occasionally, until deep golden brown and completely caramelized, about 15 minutes longer. Spread onion mixture out on a rimmed baking sheet to cool. Transfer onion mixture to a work surface and finely chop. Transfer the onion mixture to a medium bowl, reserving 2 tablespoons for garnish. Stir in sour cream, chives, and yogurt. Season with salt, thyme and everything seasoning. 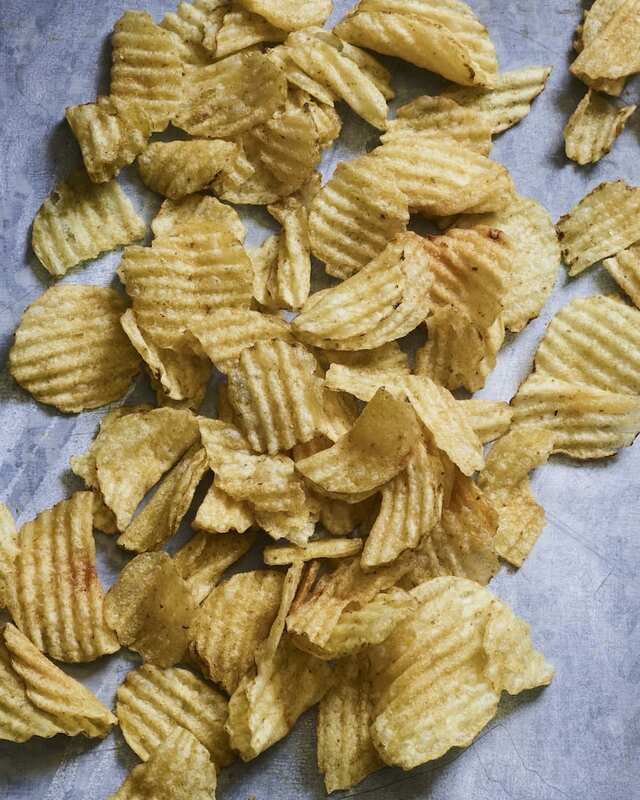 Serve with Cape Cod Waves ™ Potato Chips. This looks amazing! Can you make it a day ahead, or do you suggest serving day-of? I want to dip! YUM! oh yum- I would eat that whole bag! Dang those onions look crazy flavorful!!! Looks awesome! 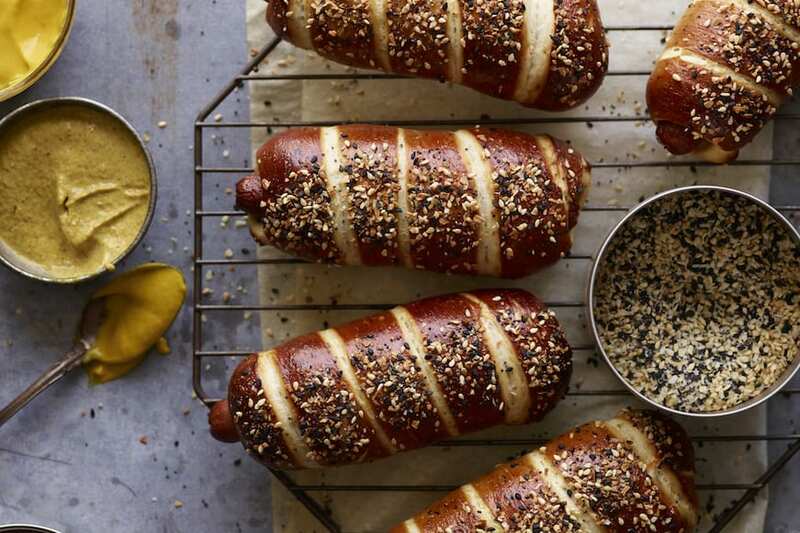 Is that the Everything bagel seasoning from Trader Joe’s? I just want to eat those roasted onions by the handful! BEST DAY EVER! This looks like the perfect way to celebrate! All the chips! All the dip! This looks like a great party! Can you please tell me where I can find the Everything seasoning that you have in your yummy recipe? I think I would eat the entire bag of chips before the onions finished carmelizing, they look delicious! This dip is literally EVERYTHING. What is “everything seasoning”? Did I miss something? I made this yesterday to watch some NCAA basketball games with family. This dip was a hit! 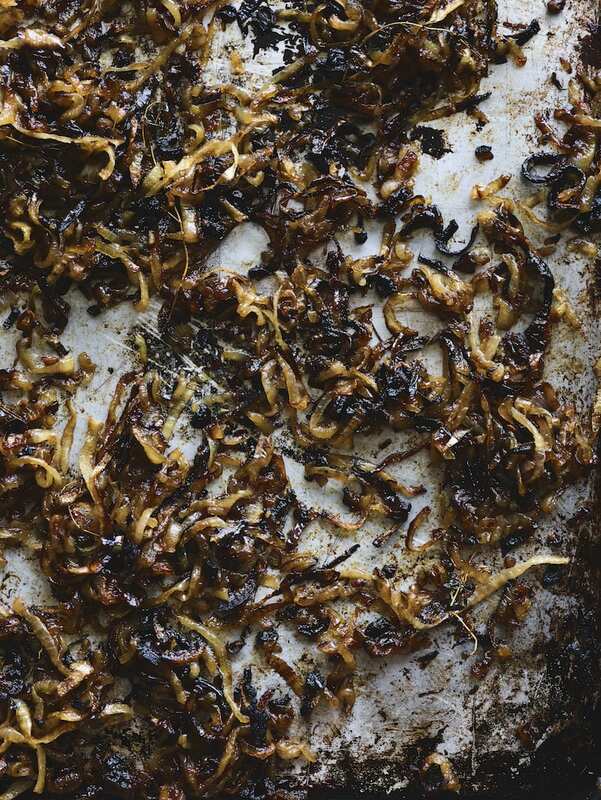 I have a tried and true pan-fried onion dip and this was by far easier to roast the onions and someone said it was even better than my other recipe! Hi, this looks amazing! I live in Australia where Everything Seasoning isn’t a thing – can you suggest some substitutes? would this dip be okay to make the day before? Can this be made without the wine? Would it be as good if I caramelized everything on the stove top over low heat w/occasional stirring? Made this for the big game day. My tasting(s) give this dip a big thumbs up! Next time, I would lover the temperature for the onions by at least 25 degrees to prevent scorching. I left out the “everything” seasoning and kept it to just salt and pepper so the flavor of the onions really gets top billing. This is a keeper. 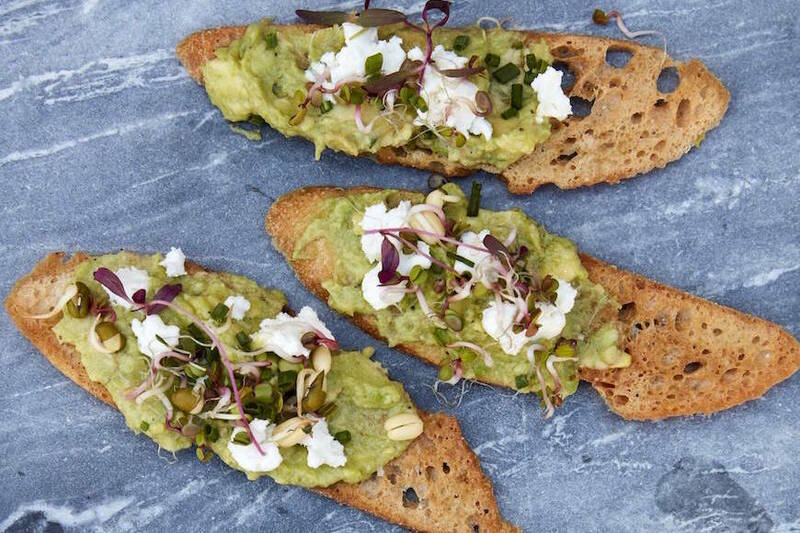 I made this tonight with vegan sour cream and vegan yogurt – hubby said it’s the best vegan dip he’s tried. Thanks!